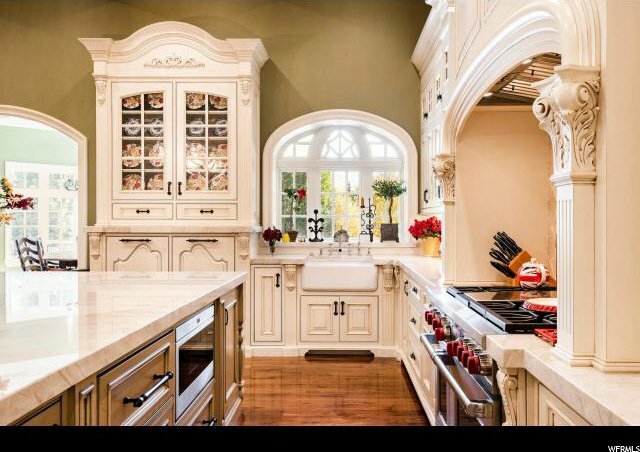 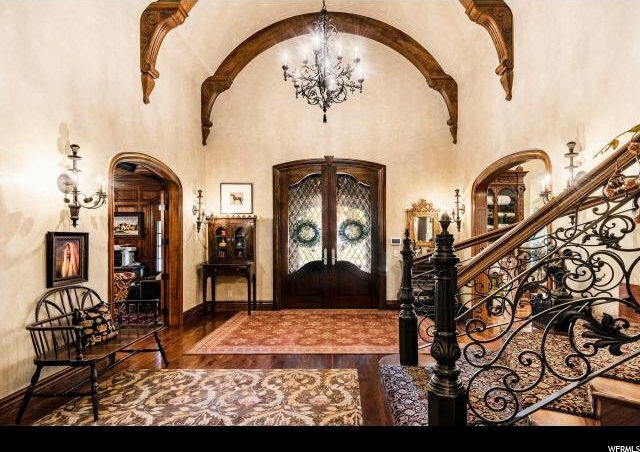 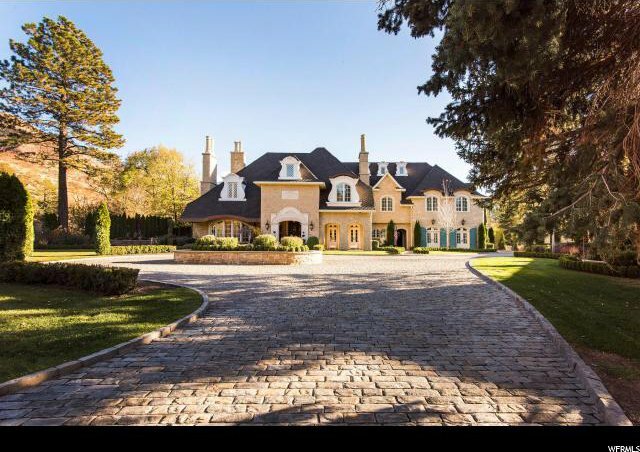 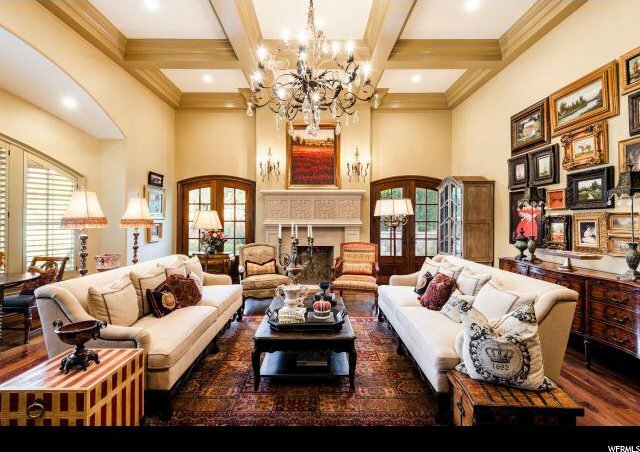 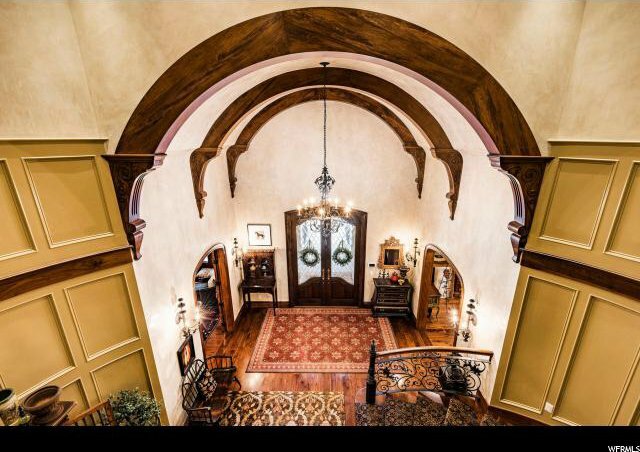 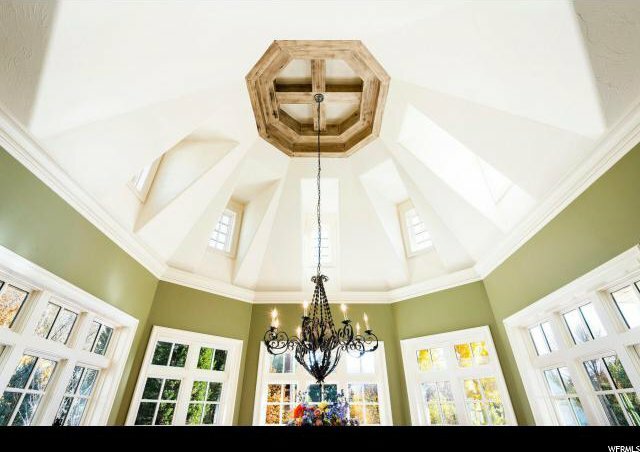 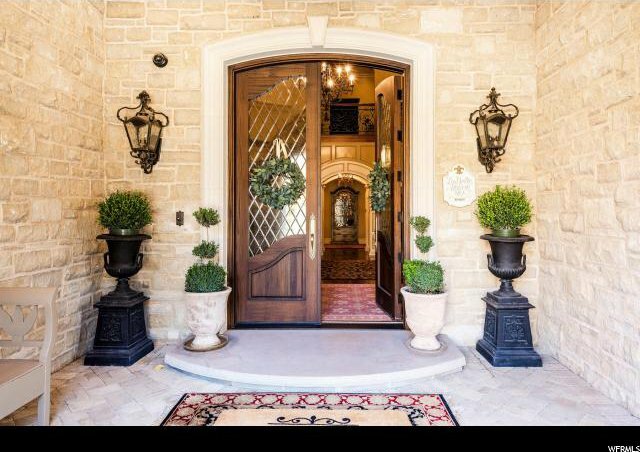 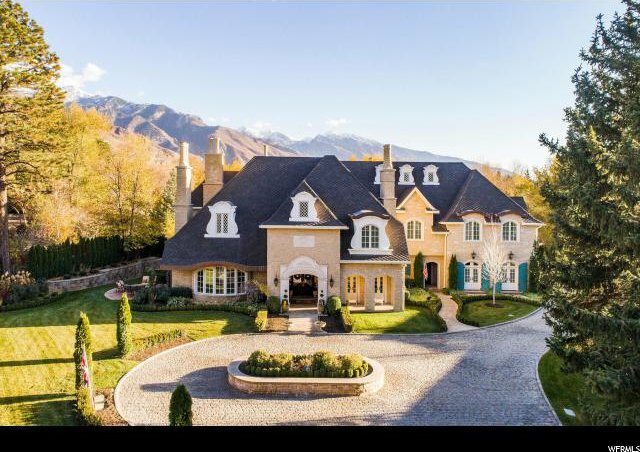 This stunning French country style mansion in Holladay features extraordinary finishes and one-of-a-kind architectural details you truly won't find anywhere else. 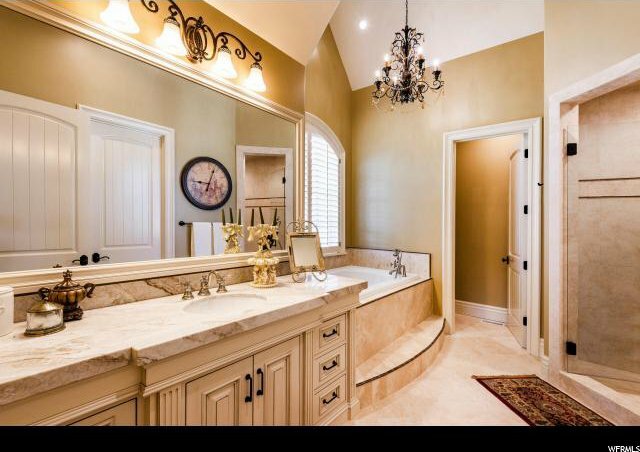 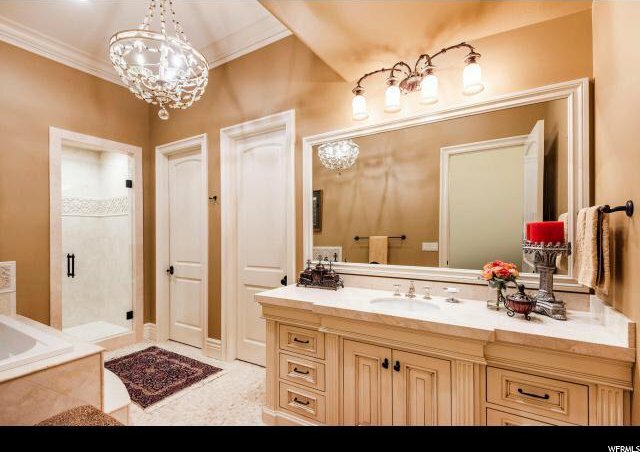 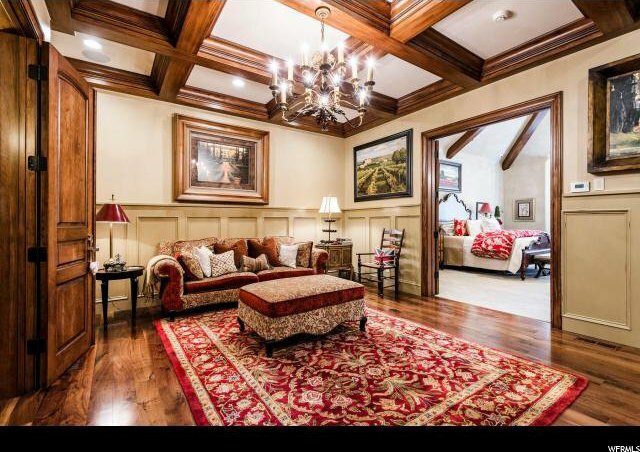 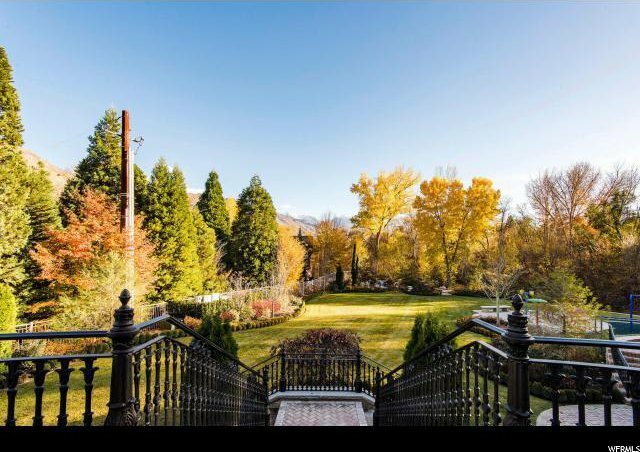 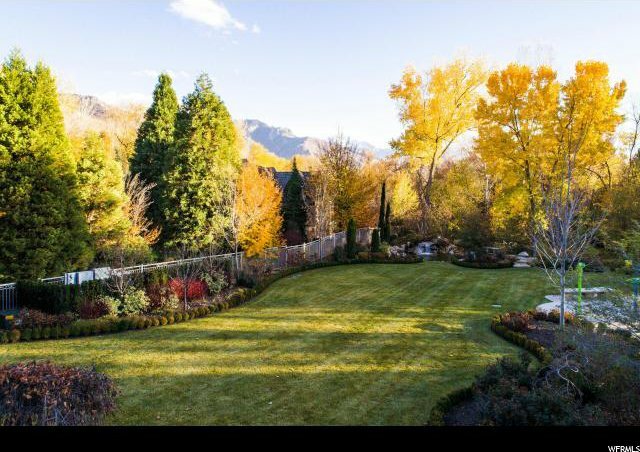 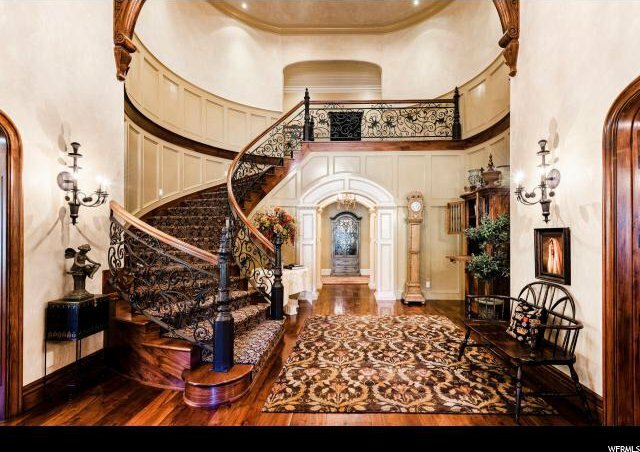 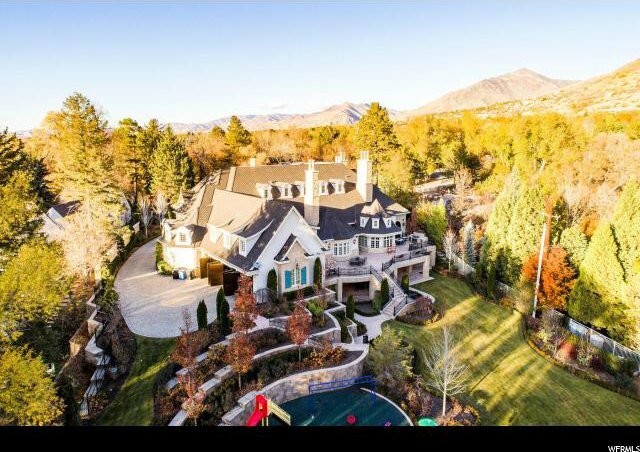 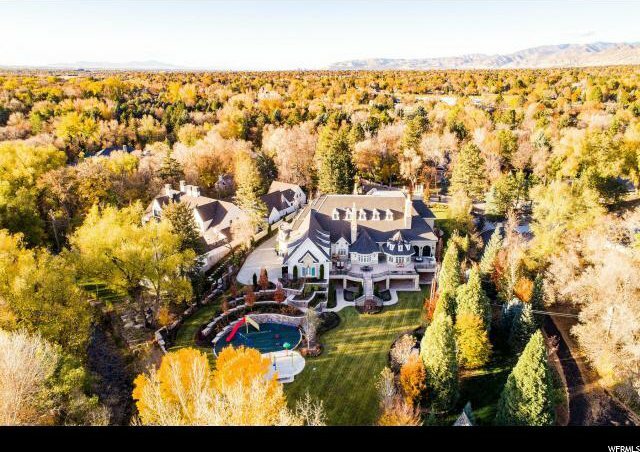 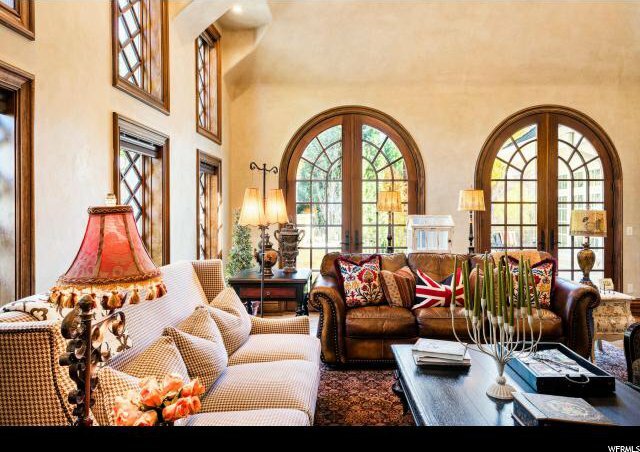 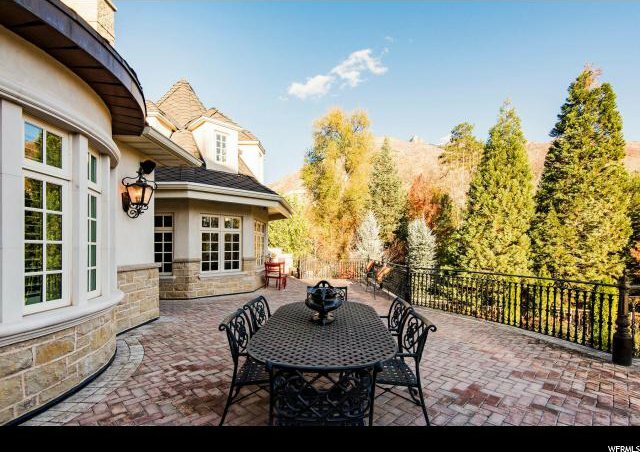 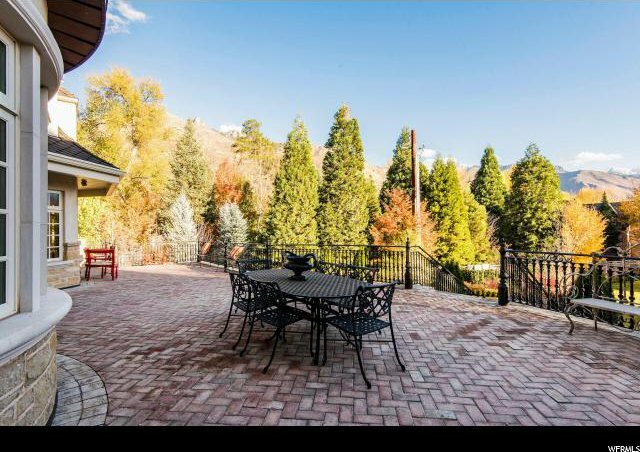 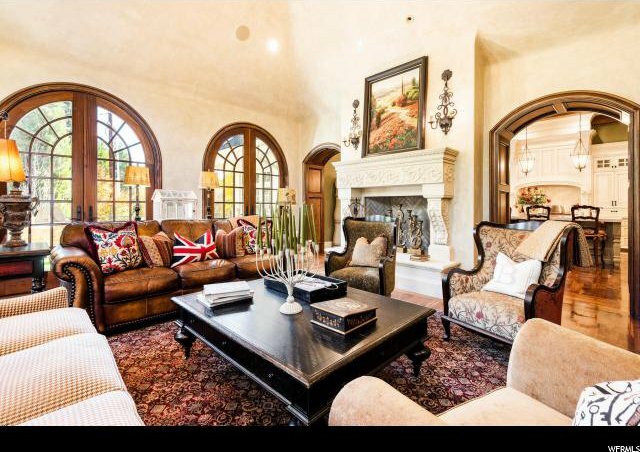 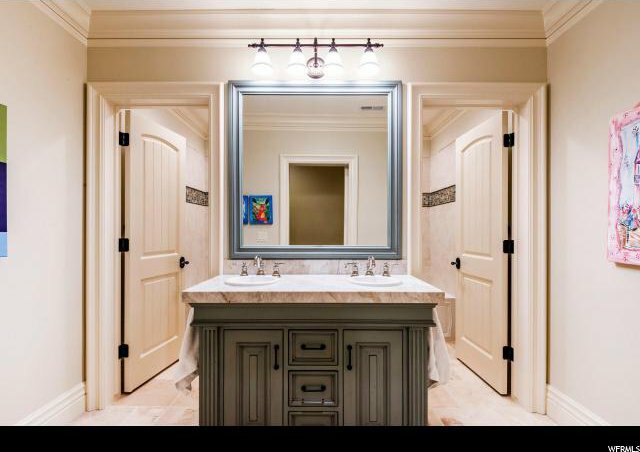 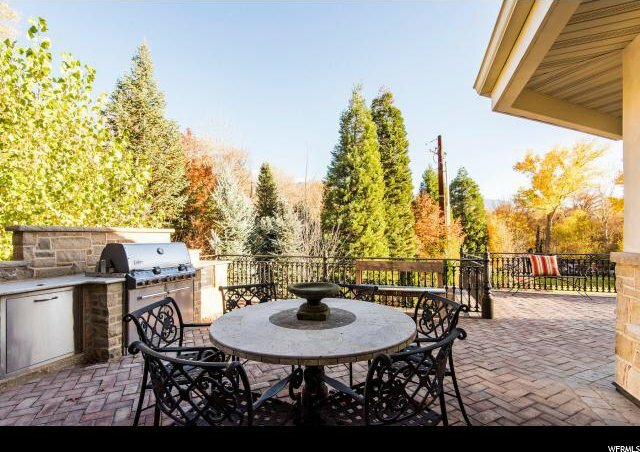 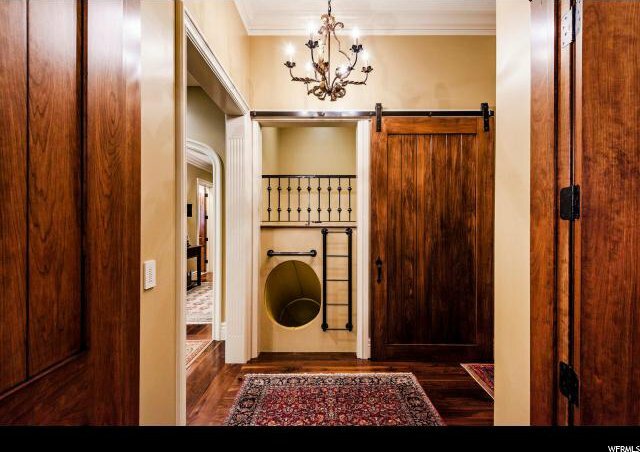 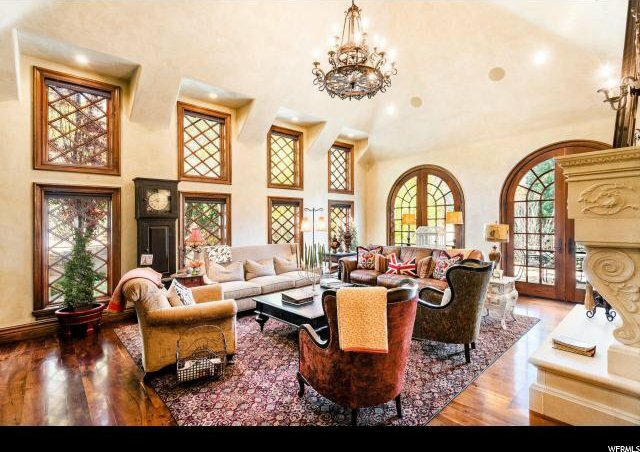 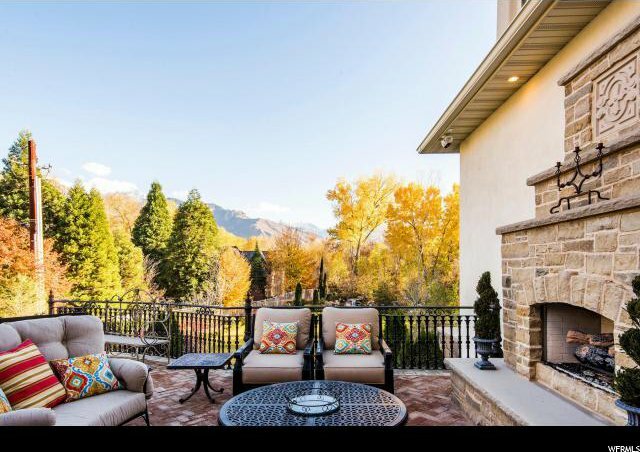 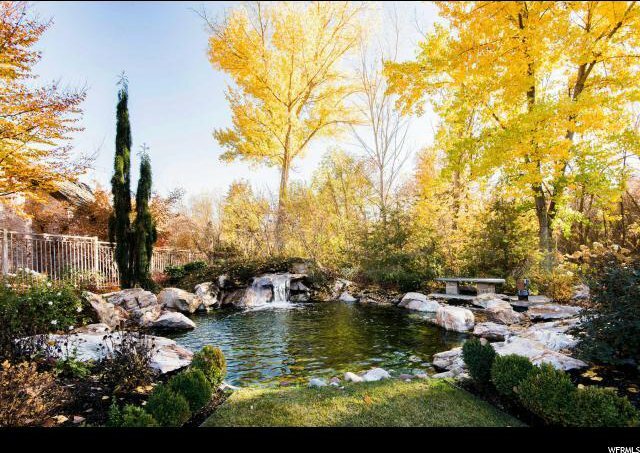 Located on Big Cottonwood creek, this gated property was custom built by one of Utah's premier luxury home builders. 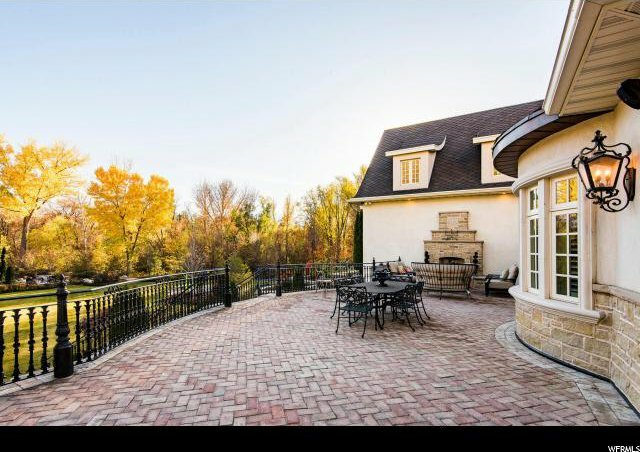 The home has a gorgeous stone and plaster exterior and the builder also installed a double layer of 50-year roof shingles. 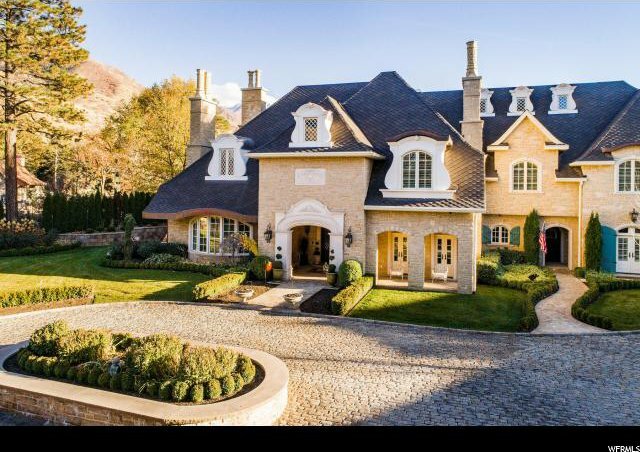 The lovely exterior and meticulous landscaping offer a peaceful elegance, reminiscent of the French countryside. 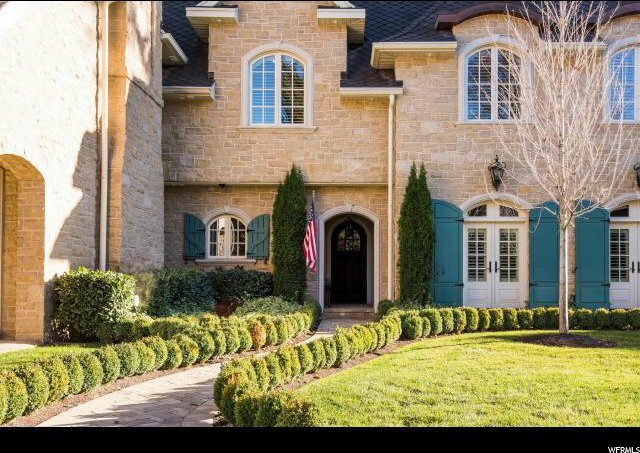 A triple garage with unique side opening doors compliments the home's exceptional exterior features. 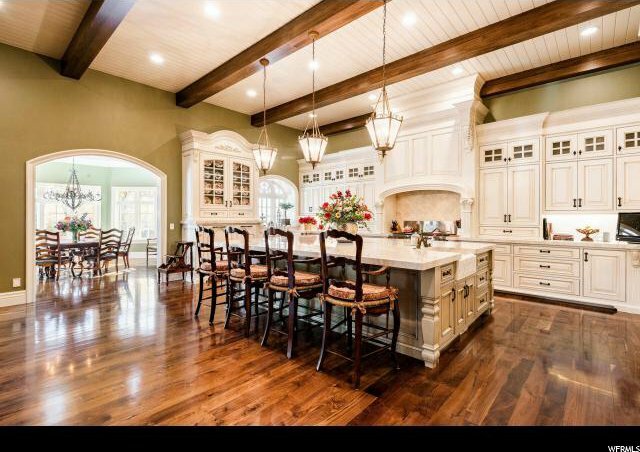 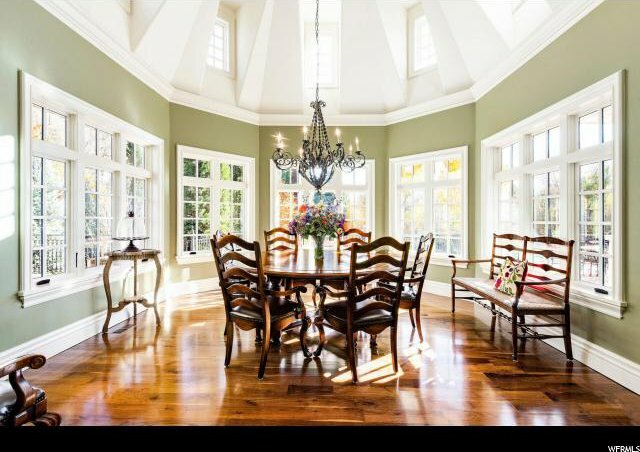 Tall detailed ceilings, bright open spaces, incredible light fixtures and custom woodwork throughout the home offer a warm and welcoming feel. 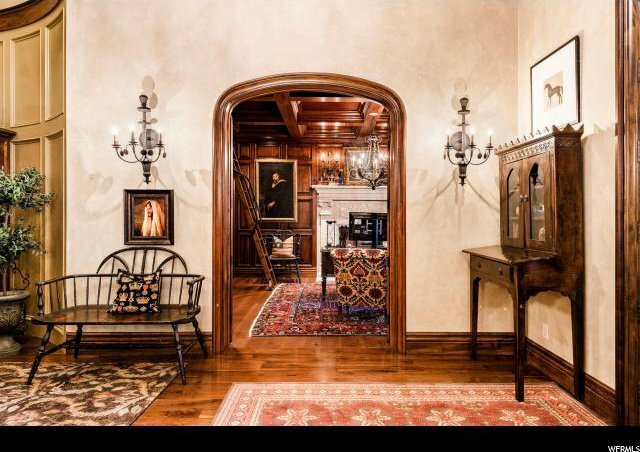 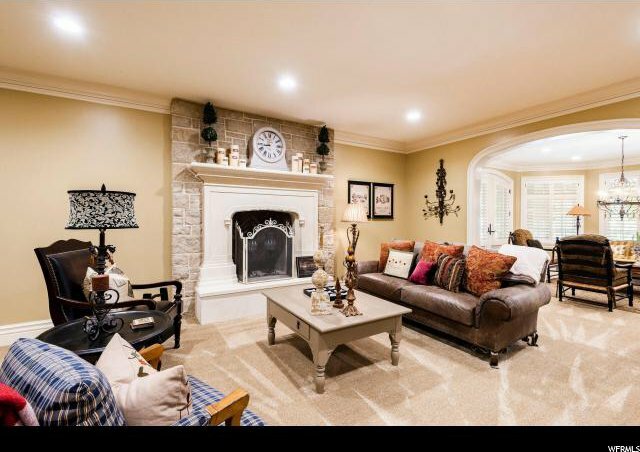 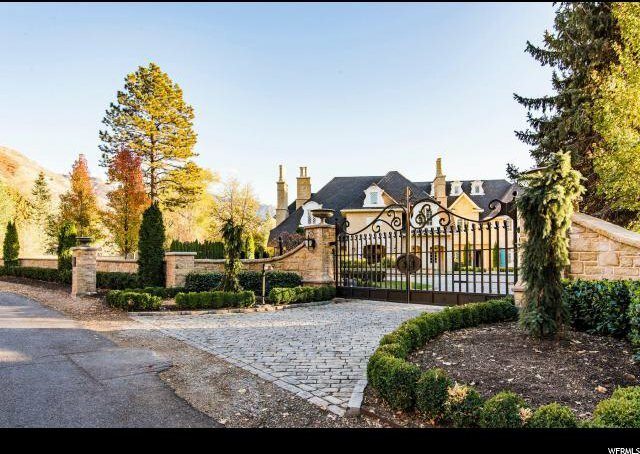 Lending to the home's warmth are six beautiful masonry fireplaces, heated floors in the master bathroom, and a heated driveway. 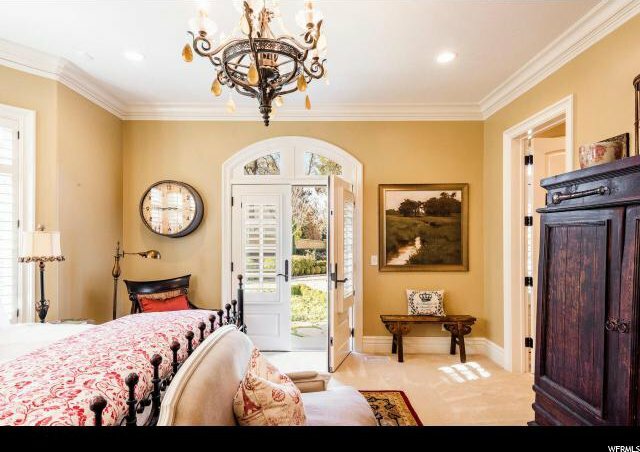 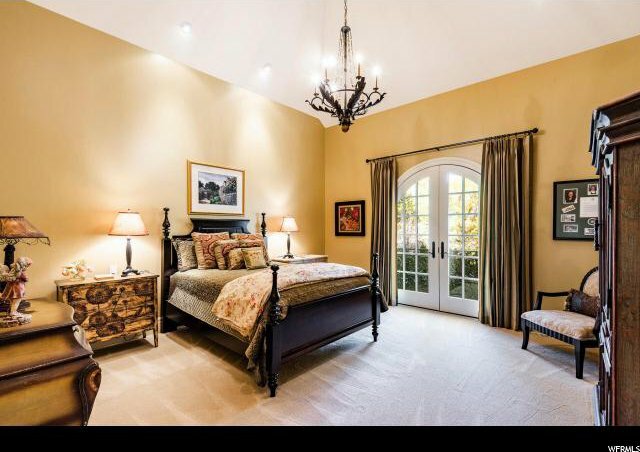 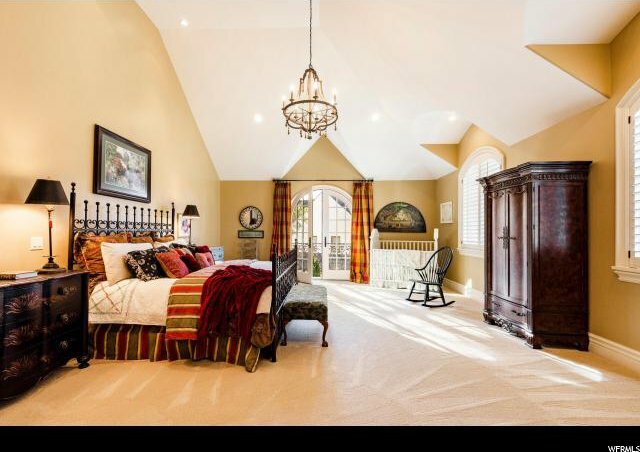 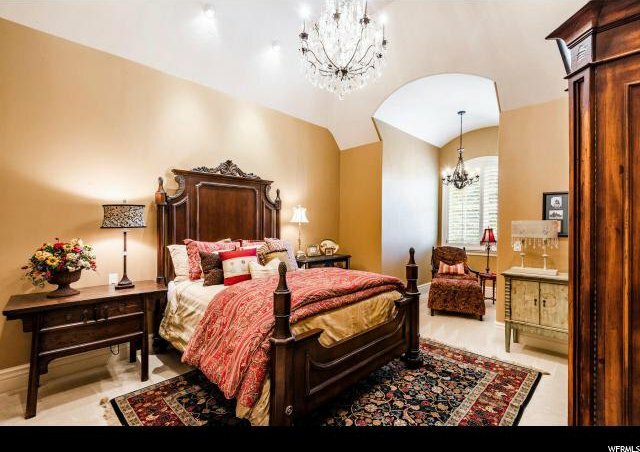 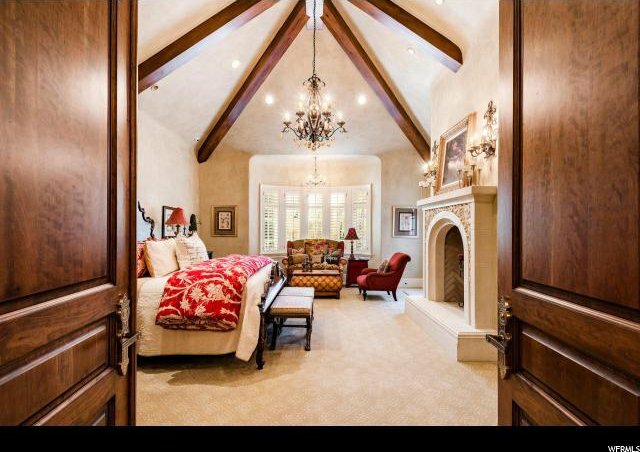 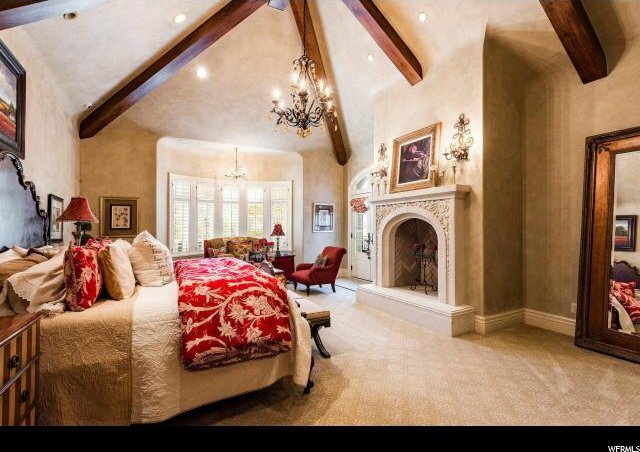 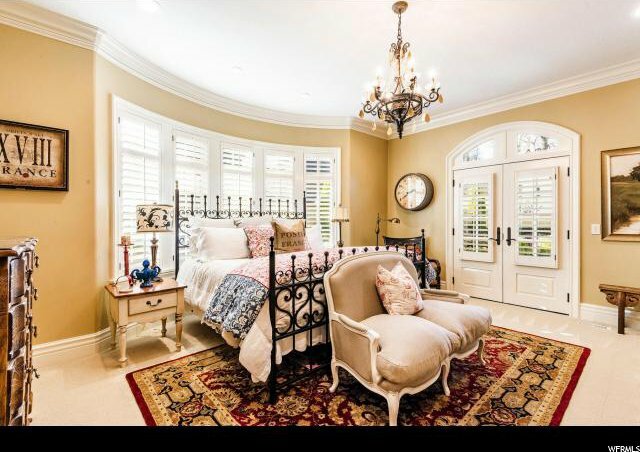 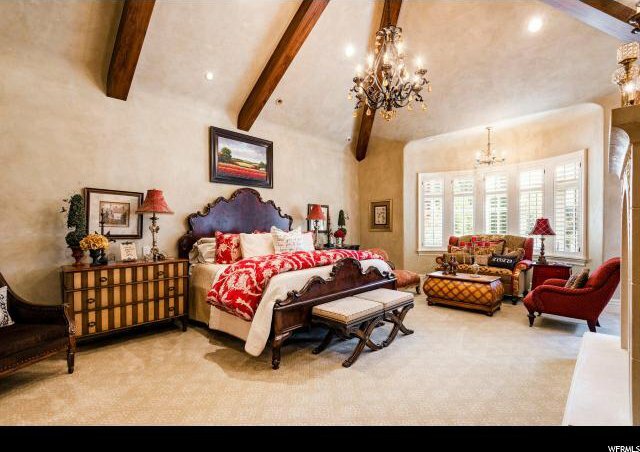 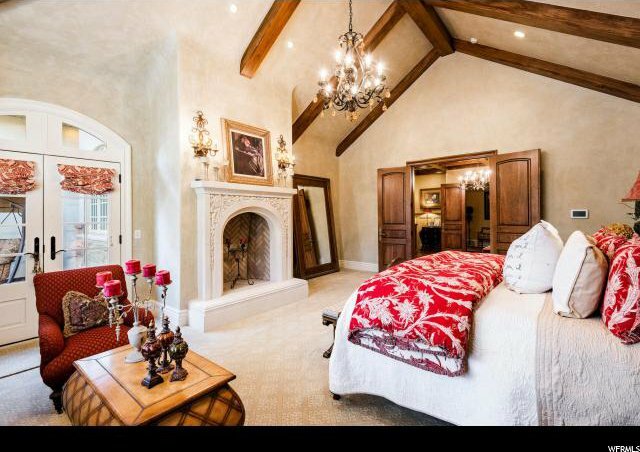 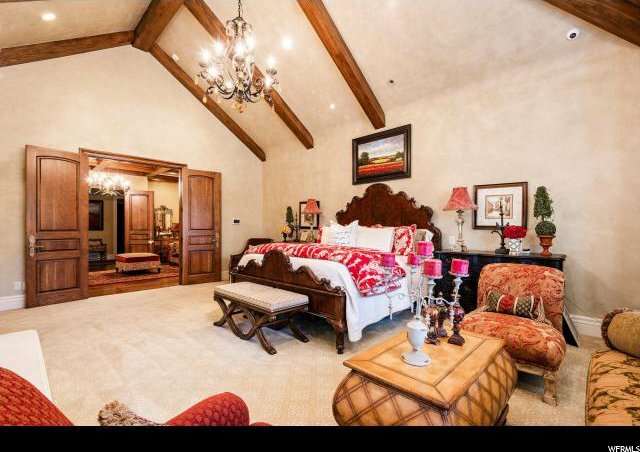 The elegant main floor master bedroom features a sitting room, a fireplace and a luxurious bathroom. 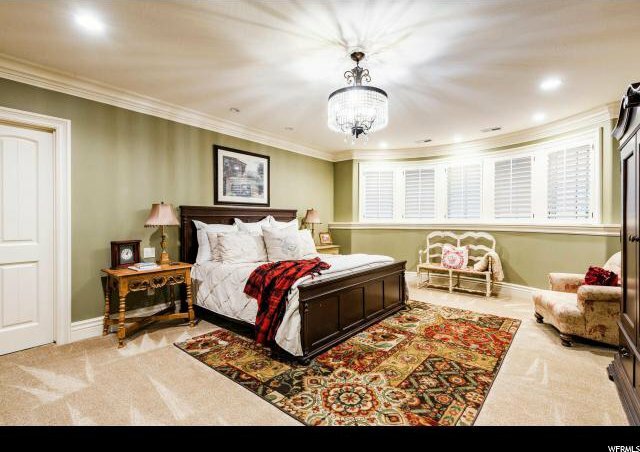 There is an additional guest bedroom on the main floor. 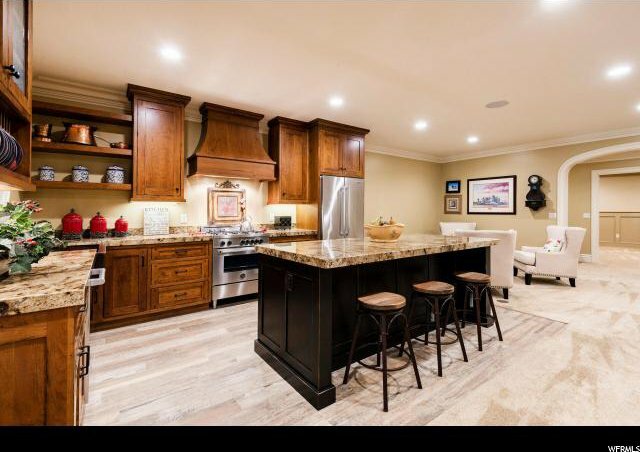 The chef's kitchen boasts a show stopping massive Quartzite counter, three dishwashers, built in Sub Zero's and top-of-the-line Wolf appliances. 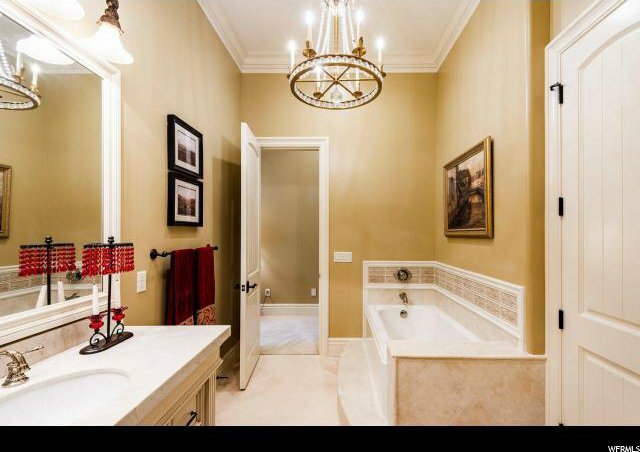 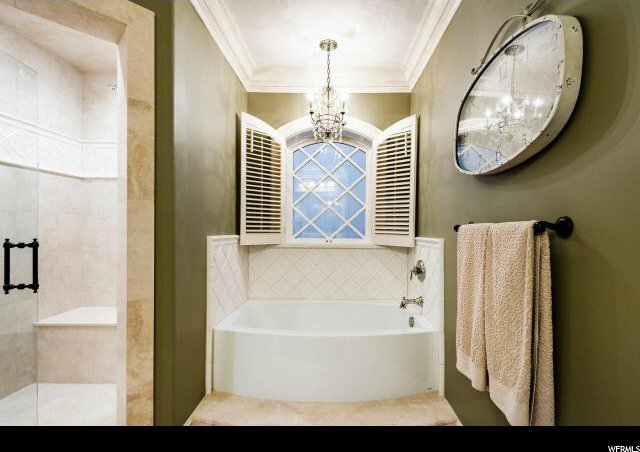 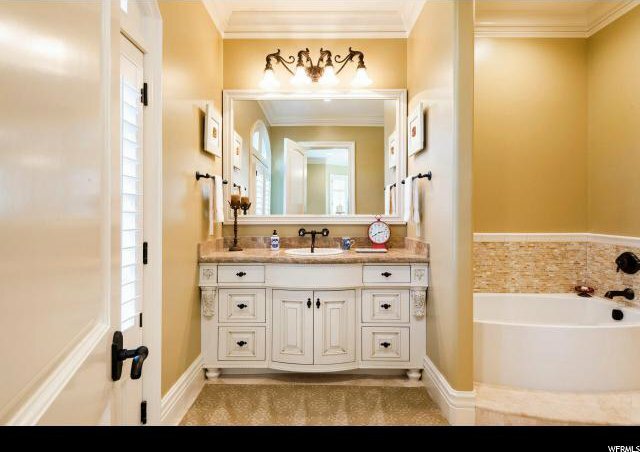 All the homes luxurious baths are finished with Quartzite counters. 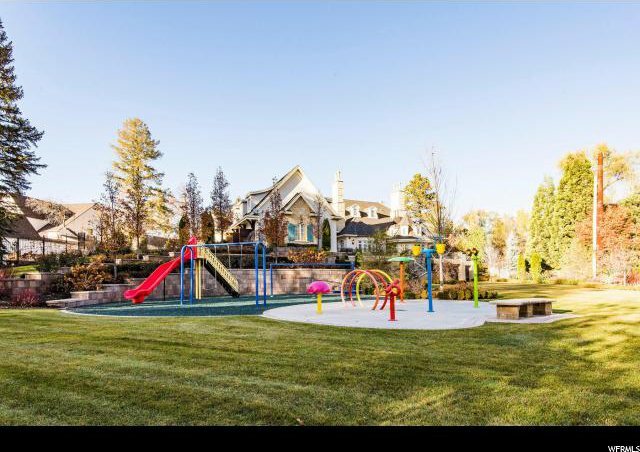 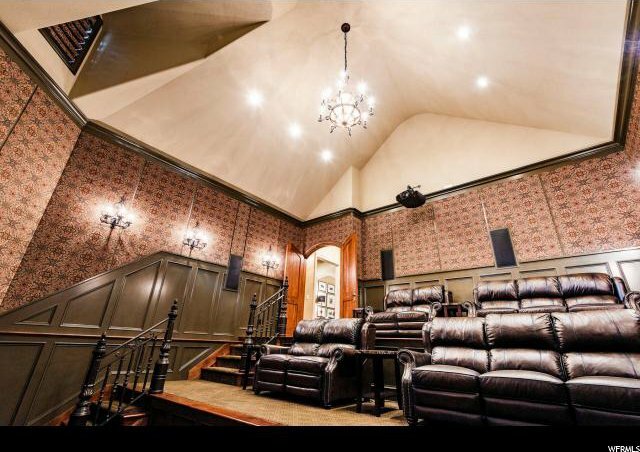 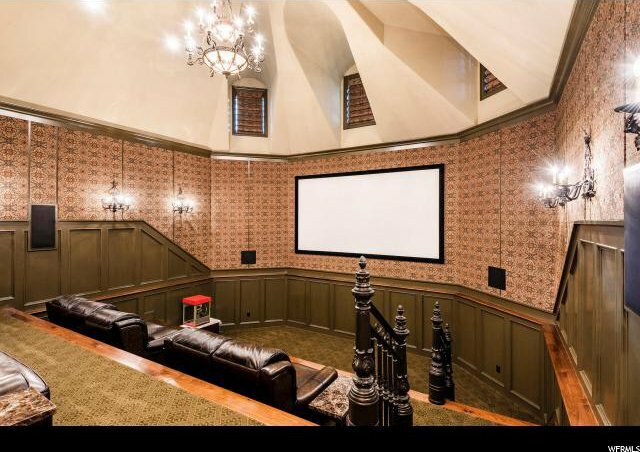 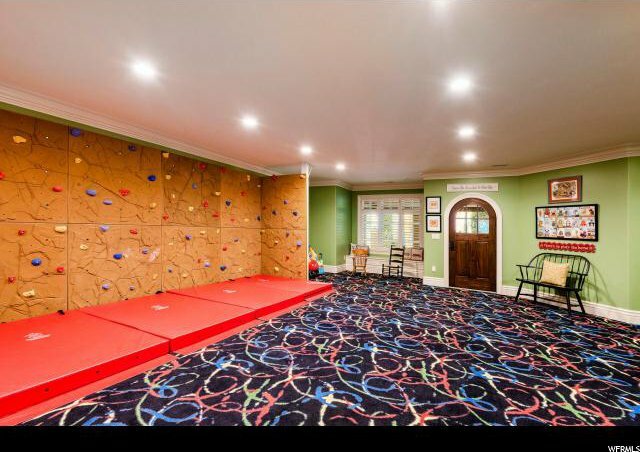 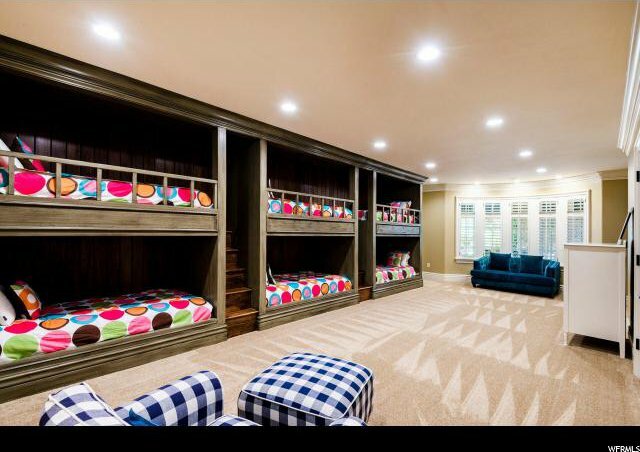 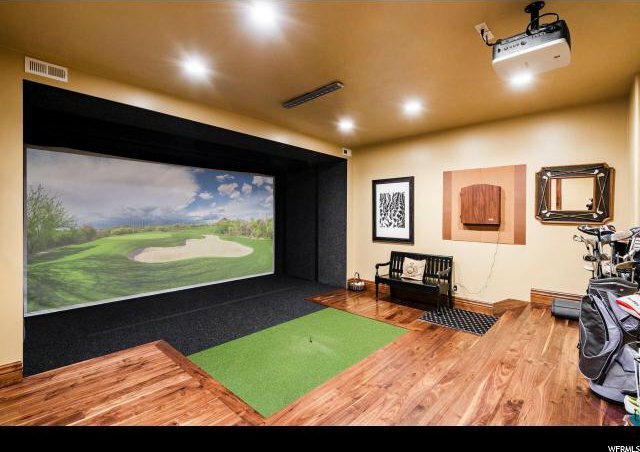 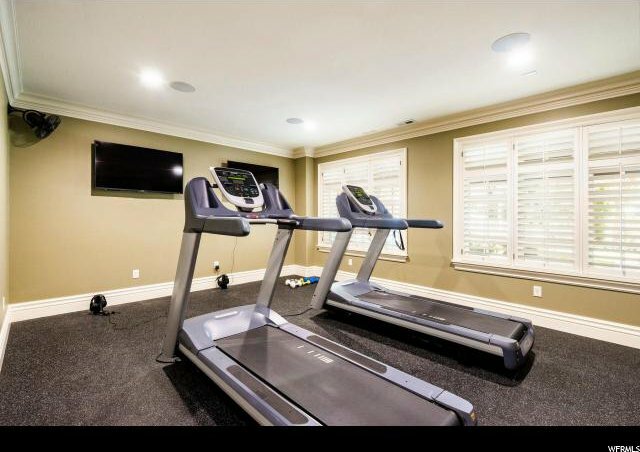 The perfect home to host friends and family, this property features an amazing theater room with cathedral ceilings, kids' playroom with slide and bunk room, a golf simulator, exercise room, a splash pad and a playground that will keep children happily playing for hours on end. 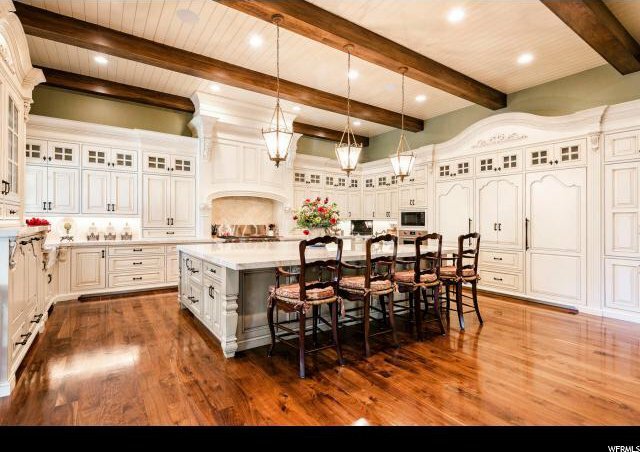 The home's walkout lower level also features a beautiful second kitchen, perfect for guests and entertaining. 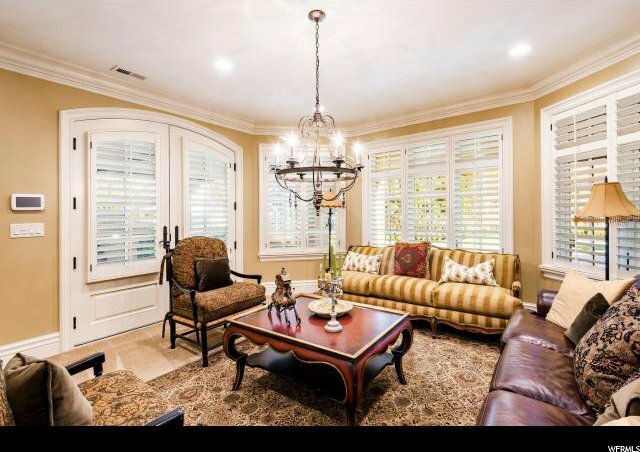 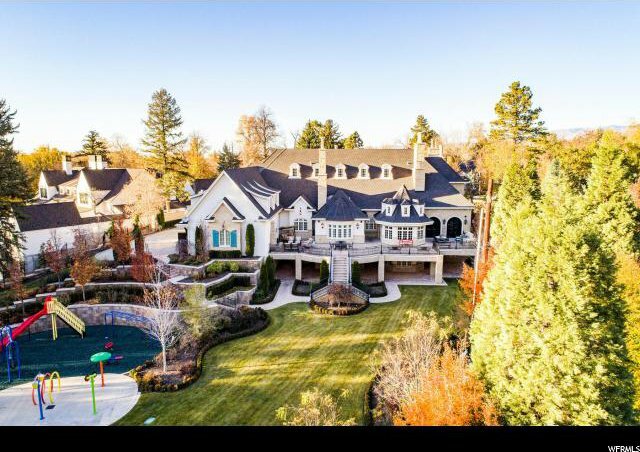 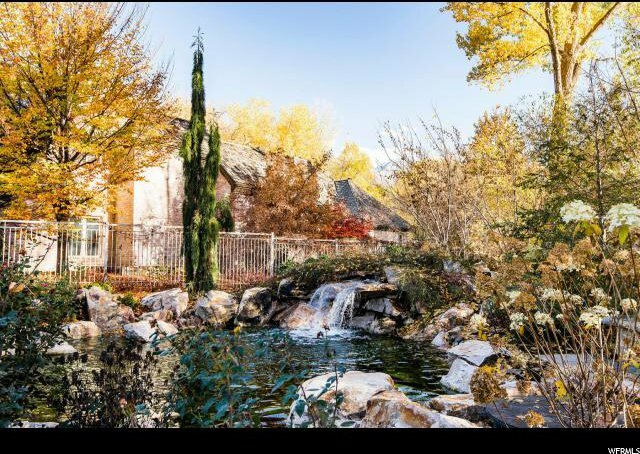 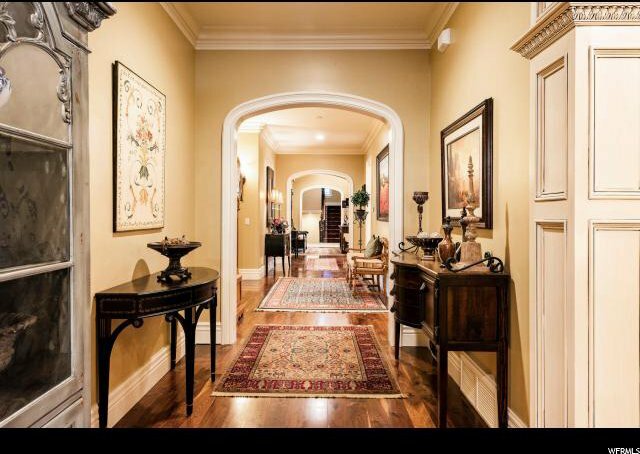 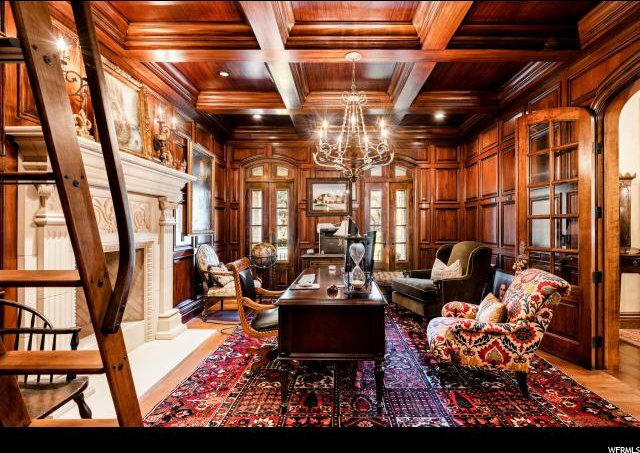 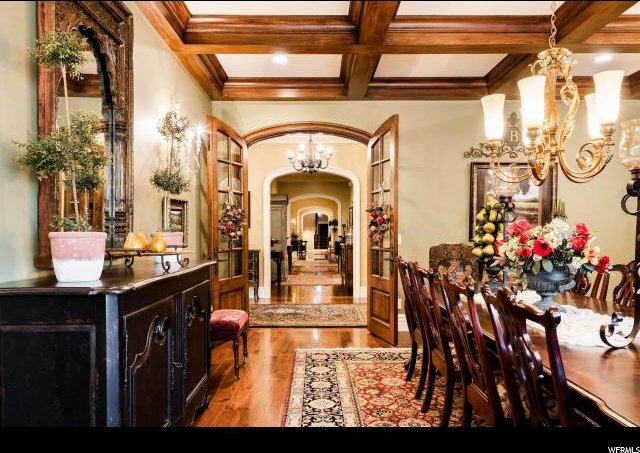 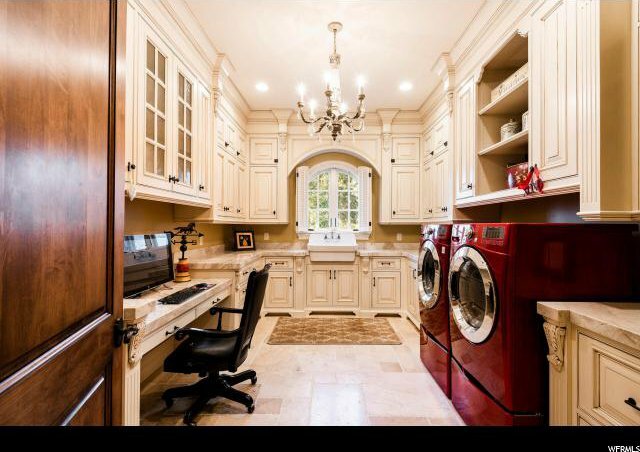 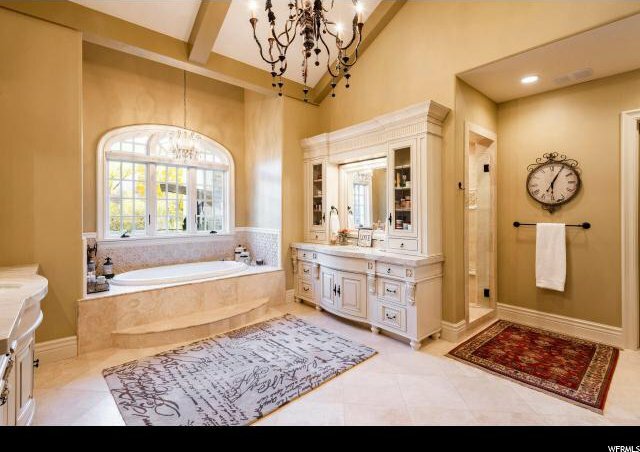 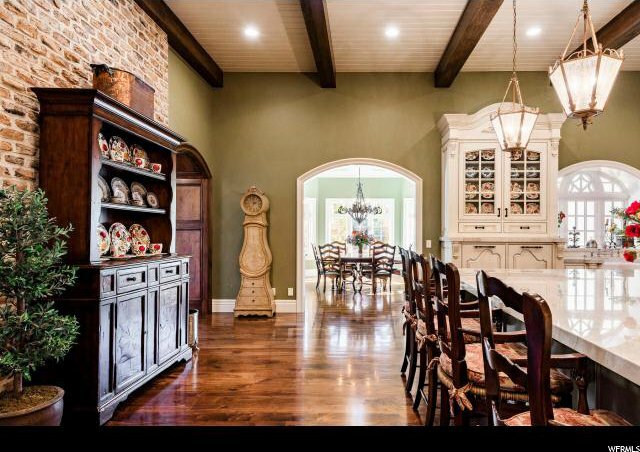 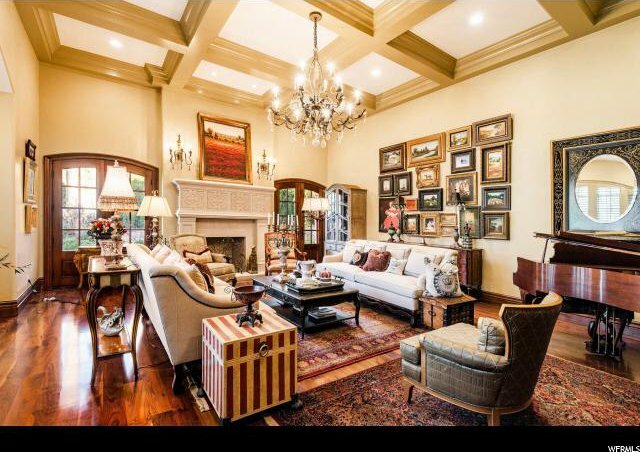 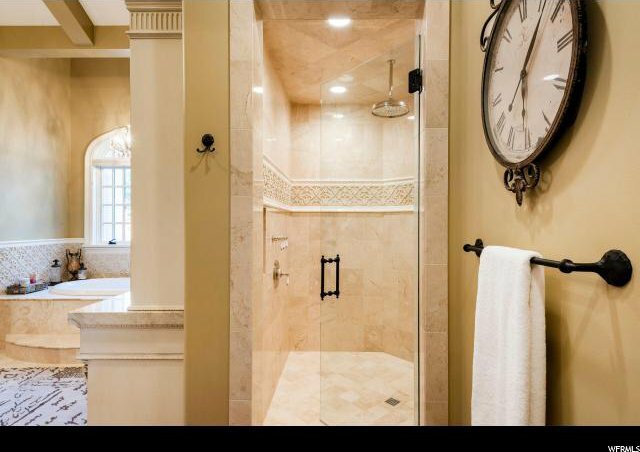 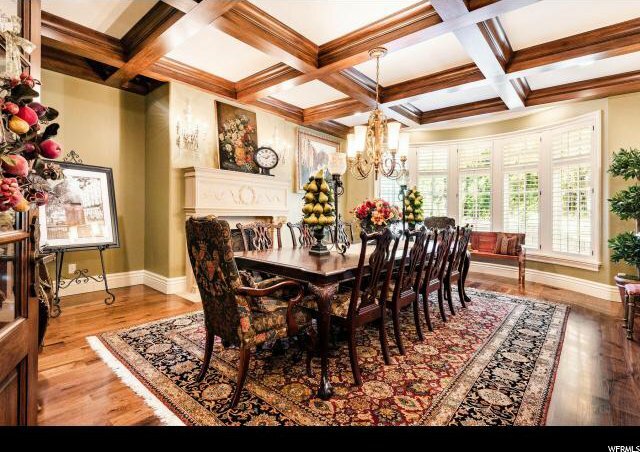 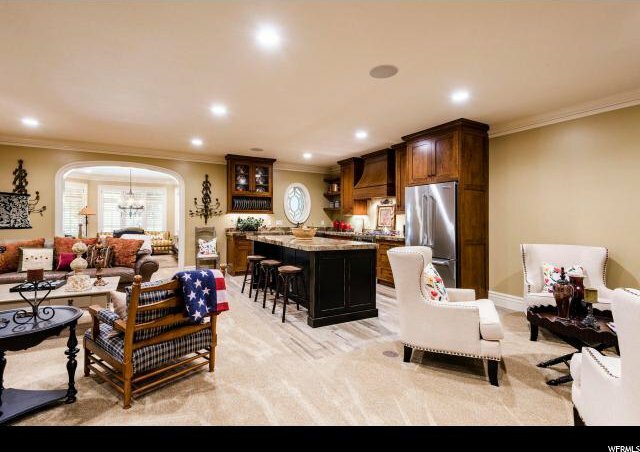 This is truly one of the finest homes available in Holladay.